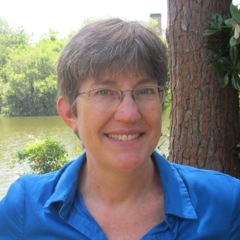 Julia Eichelberger teaches English at the College of Charleston, especially twentieth-century American writers (southern literature, Charleston writers, post-1945 U. S. poetry, African American literature, etc.) as well as first-year writing. She has been at the College since 1992. She enjoys kayaking and singing and hanging out with the Hacks, for whom she often keeps score, batting only when they are desperate.